Fallout 76 is an online multiplayer action role-playing video game developed by Bethesda Game Studios. The best way to experience the game is to explore with friends. Even though the game allows you to play solo, but if you don’t join the server then what the point of the multiplayer game? 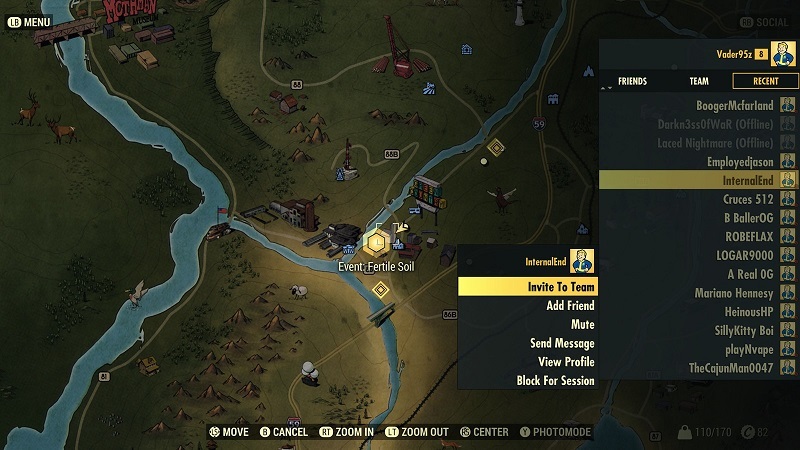 Here is how to join random servers or play with friends to explore Fallout 76. How to Join Servers and Play With Friends? If you’re good with gameplay then join random strangers online, but there are high chances that your interests might not be the same. Joining friends in the game will be the best choice to explore safely. In order to play Fallout 76 Online with Friends, you must add them to your friends’ list. Now that you are set with adding Friends to the list, open the map and press the social menu (‘C’ for PC, ‘R1/RB’ for PS4/XB1). Now Scroll down the friend list and select the name of the person you’re trying to play with. You have two option either invite and join their server. Players joining the server will keep their quest progress, inventories, experience points and other as it is. Always pick up the same person to host, to retrieve the progress on base building or you might have to start another session in the wasteland. Enjoy your Online hunt with Friends. Check our other Guides for Fallout 76 Tricks, Cheats, Tips, and Collectible Location.